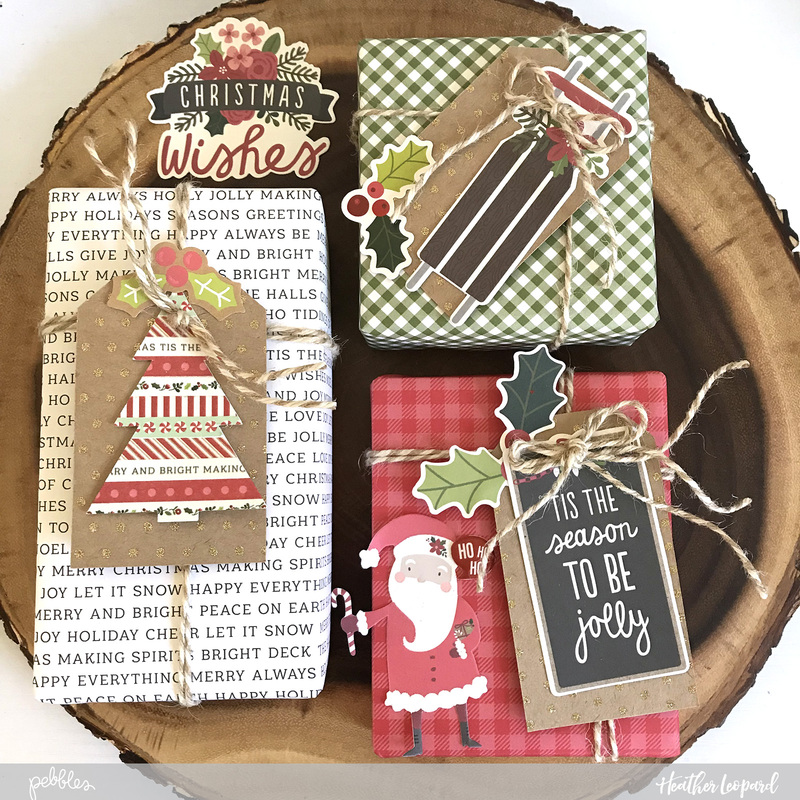 Gift Tags Archives - Pebbles, Inc.
Hello, Pebbles’ fans! Eva Pizarro here today showing you how to make two quick Christmas Tags using our new Merry Merry collection. Every year I wrap my Christmas presents the last two days and that doesn’t leave me much time to embellish the package. 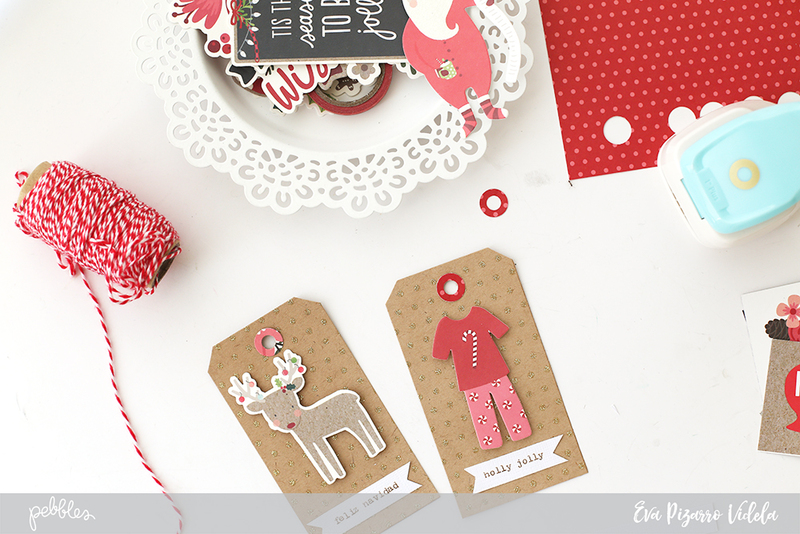 The only thing I add is a cute Christmas Tag, I try to make them quick and simple. 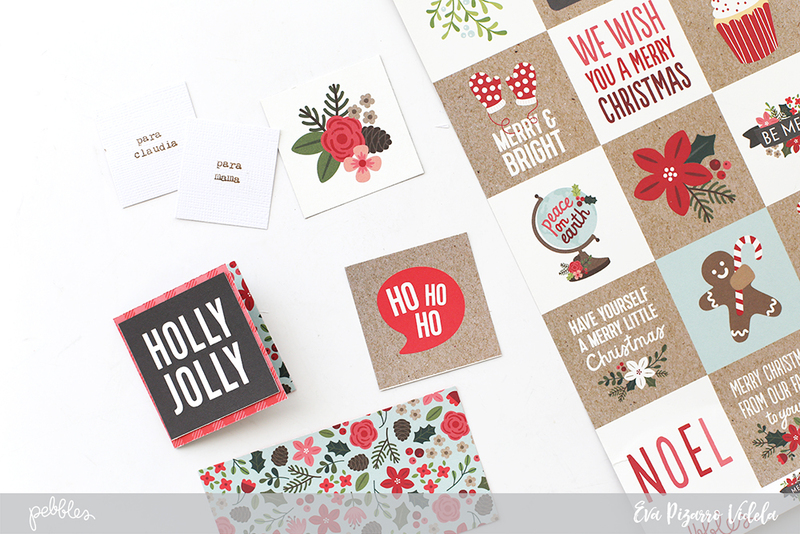 This year I am using the die cuts and papers from the new Merry Merry collection. 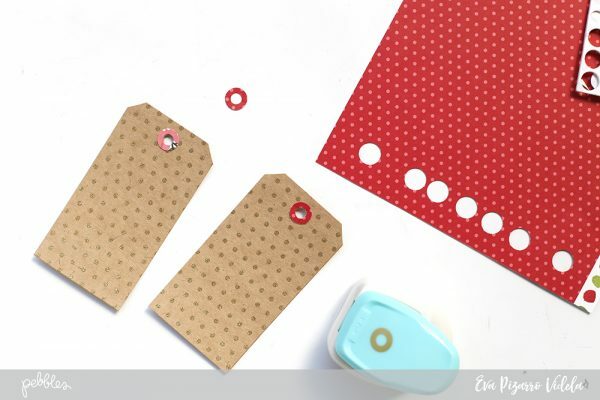 To make the ones with a tag simply cut a rectangle from this cute glitter dot paper and use your Crop a Dile tools to add the hole and make the angles. With the Hole Punch Reinforcer, make matching circles for the tags. 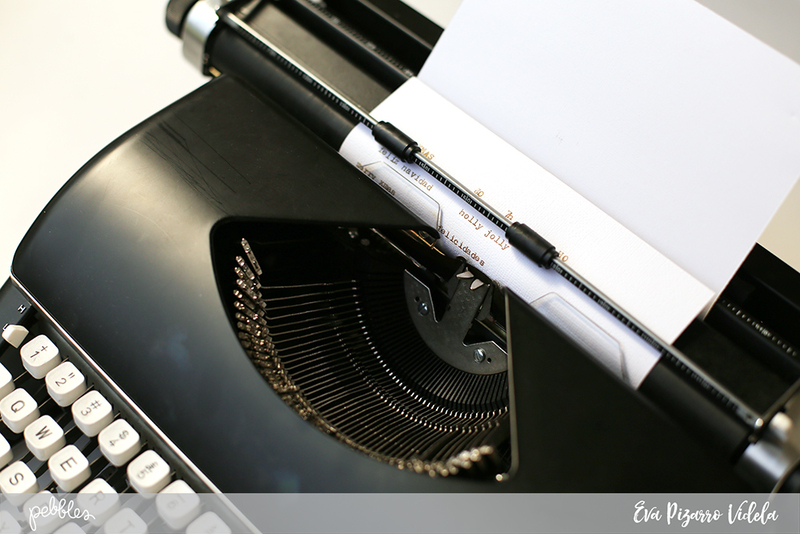 Using you Typecast Typewriter write some phrases in gold ink. Glue your phrases and add die cuts using 3d dots. Add some red twine and the first set of tags is ready! 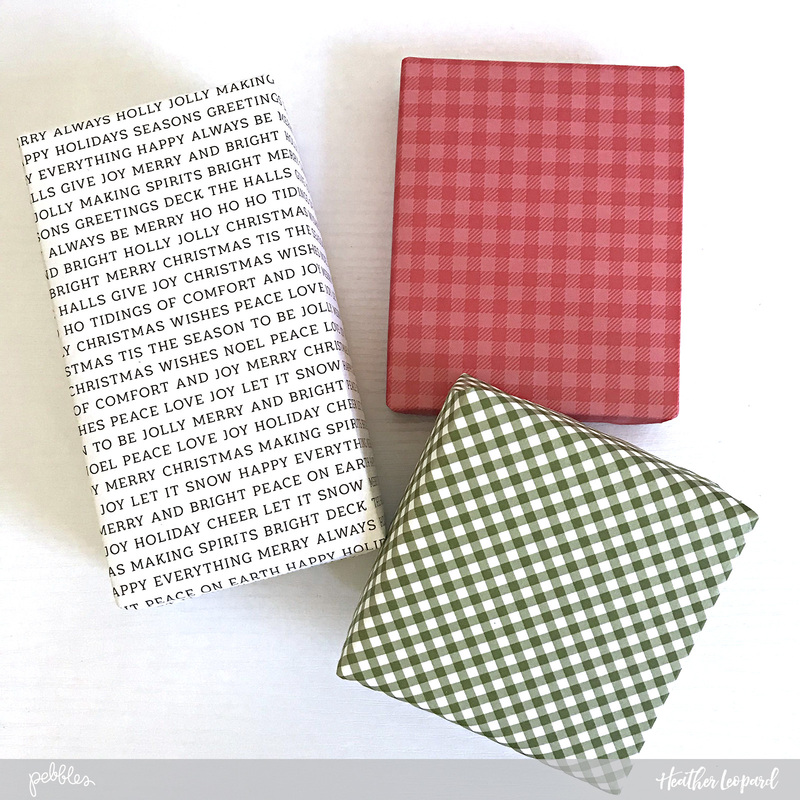 For the next Quick Christmas Tag simply cut the 2×2 inch squares from this patterned paper and create small cards. Make a hole and type inside the name of the receiver. 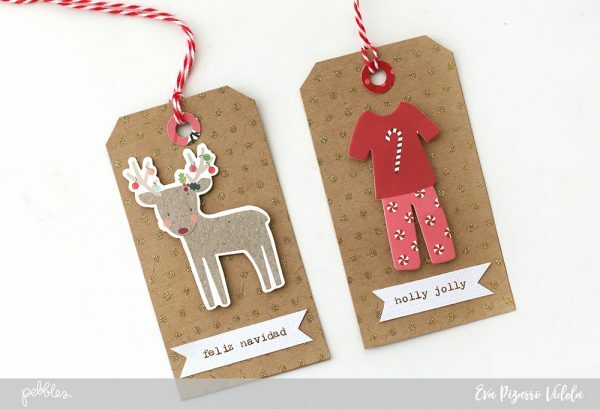 These quick Christmas Tags are very simple but they can turn a simple packaging into a cute gift. What do you think? do you make Christmas Tags? 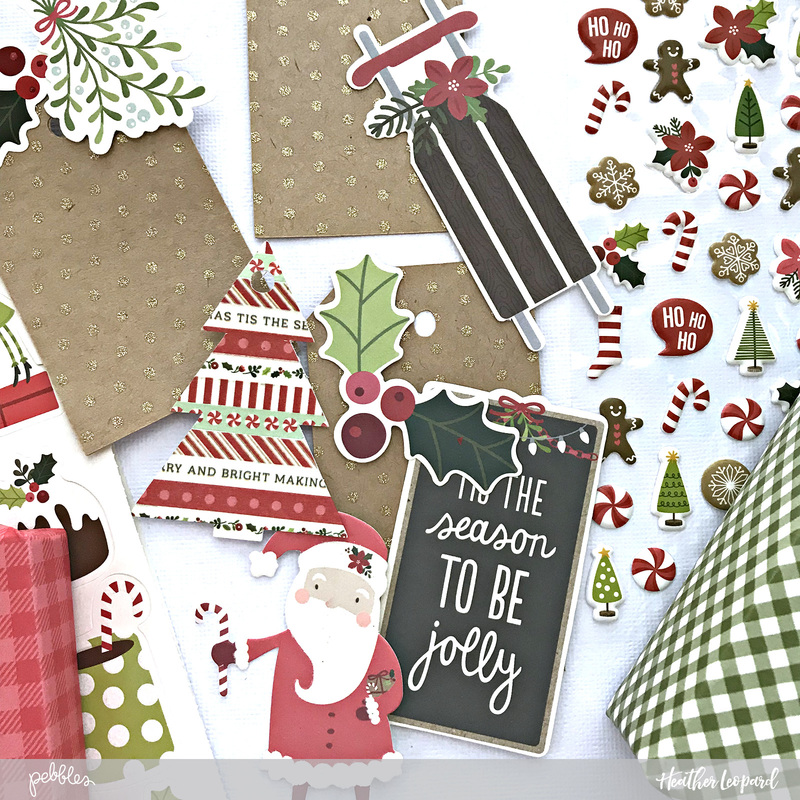 Amy here from The Happy Scraps today. 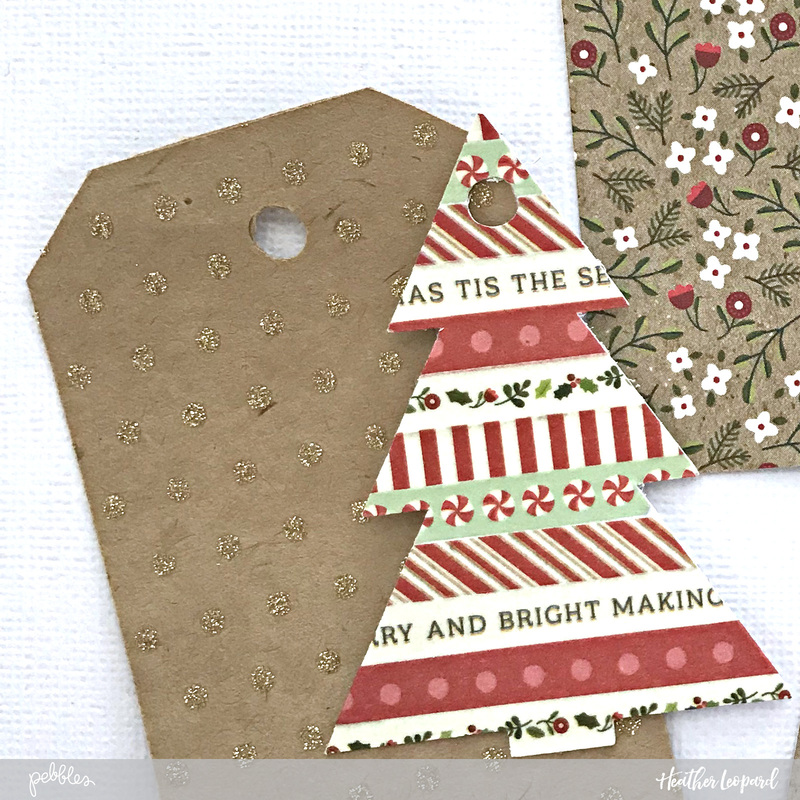 I’m so excited to share this project with you using the Winter Wonderland collection. 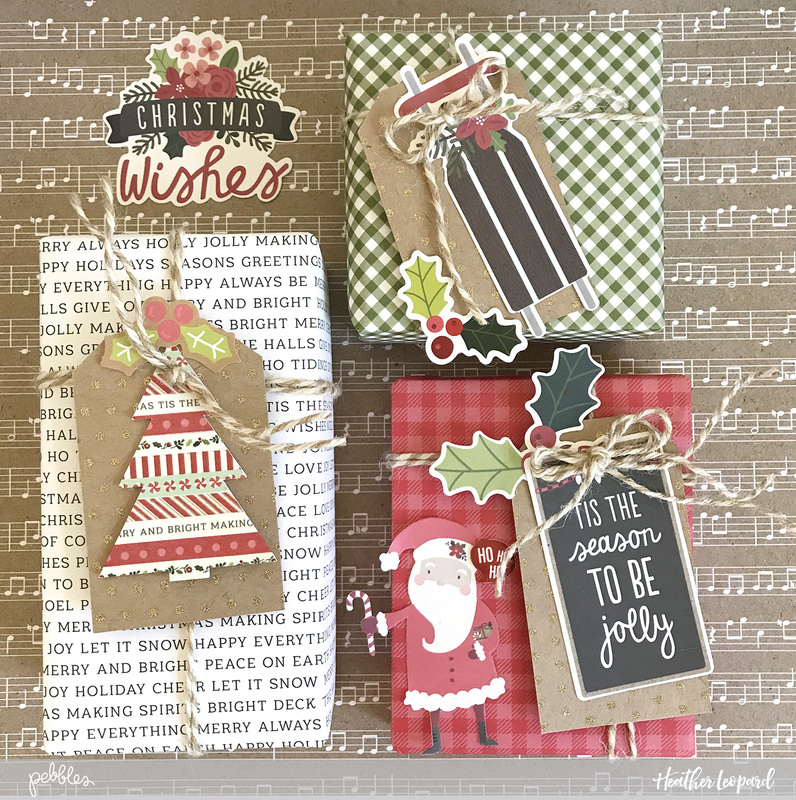 Do you enjoy giving neighbor gifts to your friends and neighbors for Christmas? 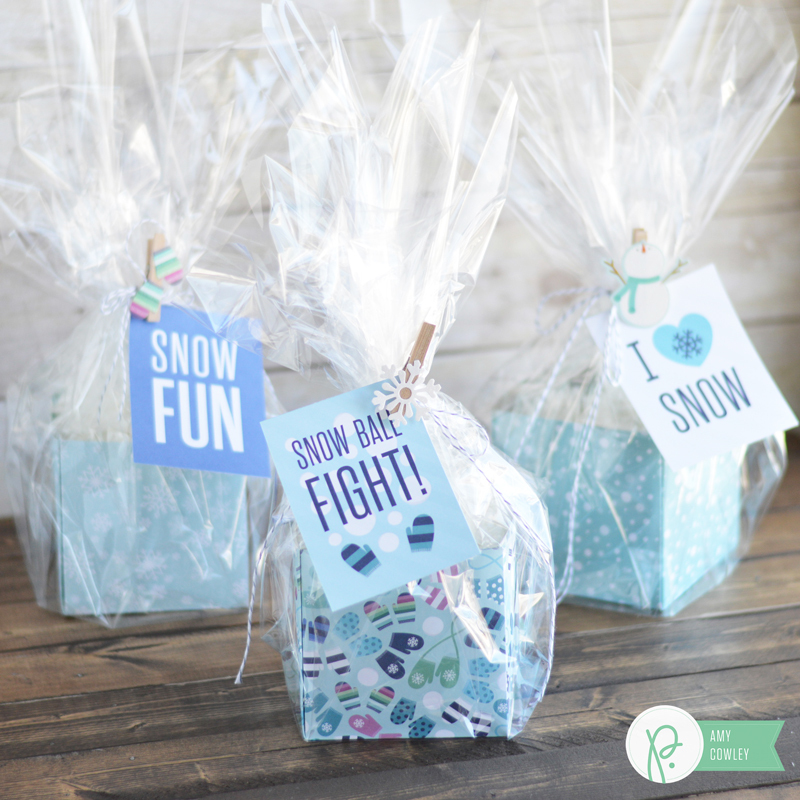 Today I’m sharing this Simple Snowball Neighbor Gift and the best part is, even if you live in a warm climate where you don’t have snow, you can still give these Snowball gifts to your friends. 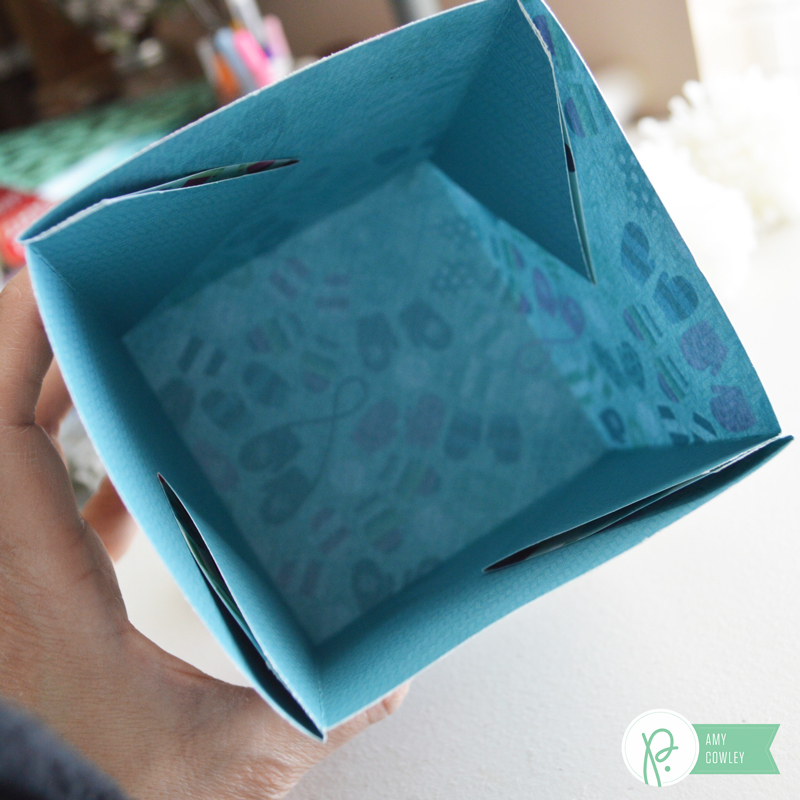 I used the 1-2-3 Punch Board and used the instructions to make a 4″ box out of a 12″ x 12″ paper. I trimmed the corners off of each side of the paper because I wanted to create a box without a top. This is what your paper should look like before it’s folded. Fold your paper on the score lines, then use the Sticky Thumb Double Sided Tape and place on each corner like pictured below. 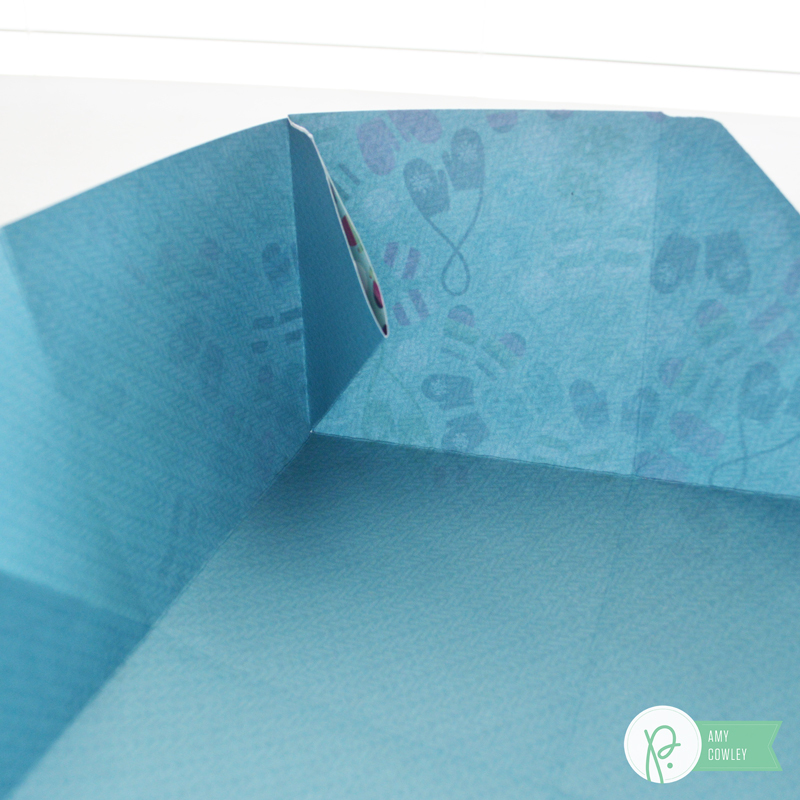 Fold your box together adhereing the corner together like pictured. Repeat for each corner. Once the box is assembled, use more double sided tape on each flap inside the box. 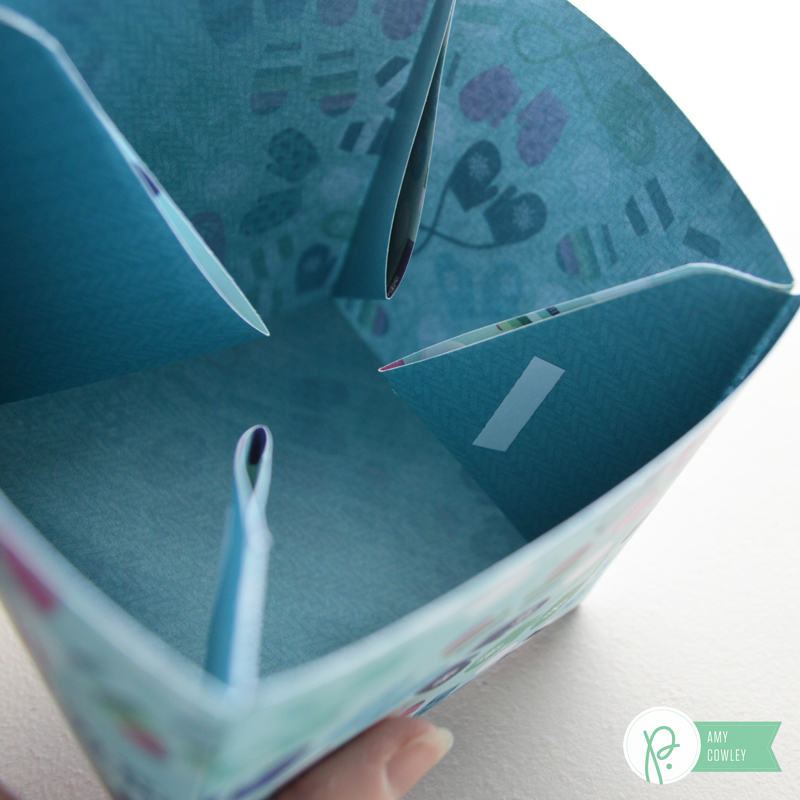 Adhere each flap to the sides of the box. 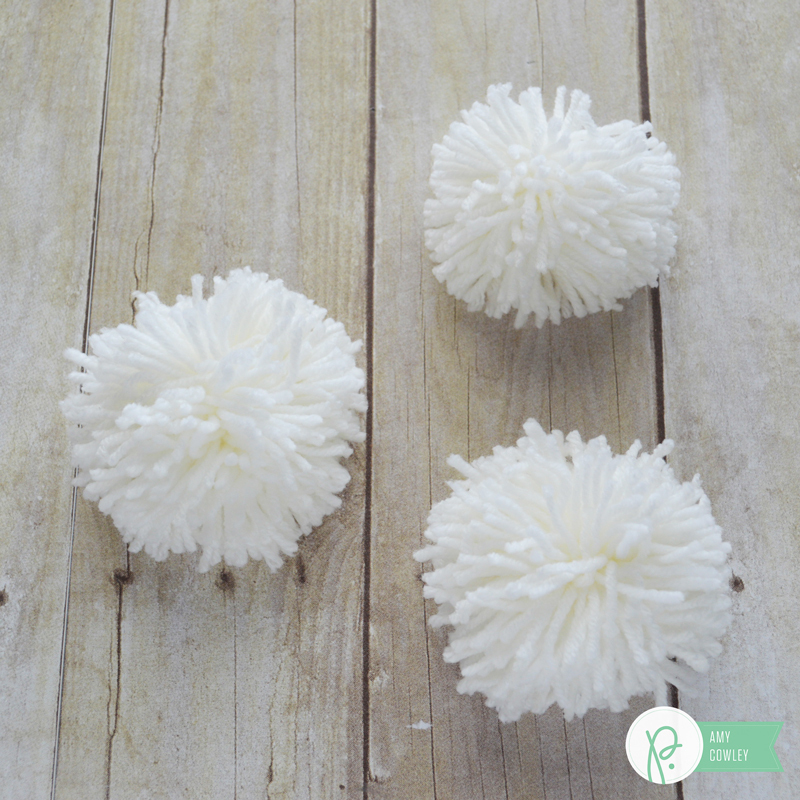 Make some yarn pom poms, or something else you can think of, that look like snowballs. 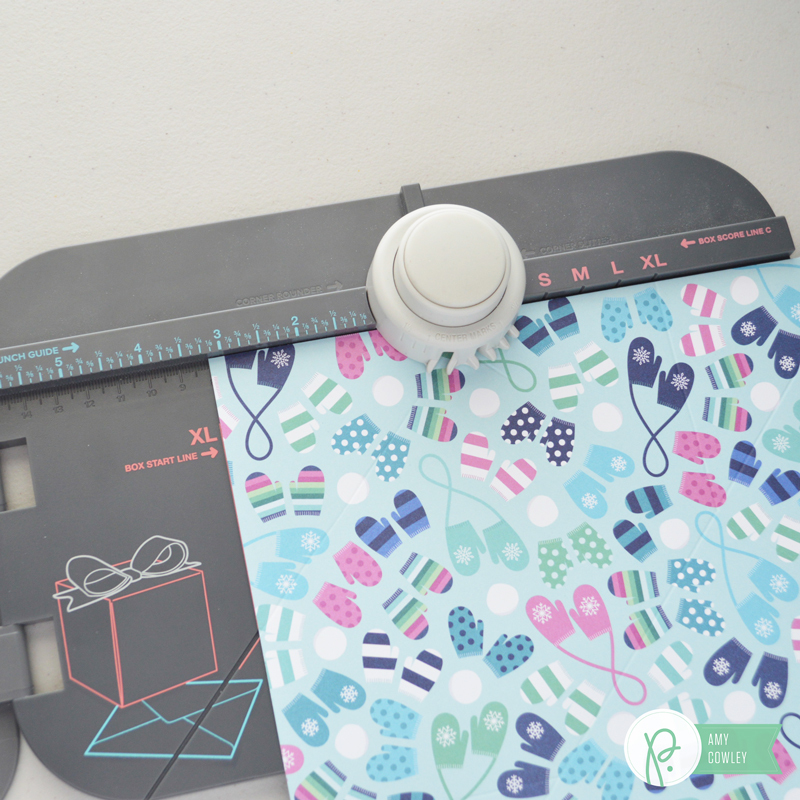 Fill your cute new box with the pom poms. 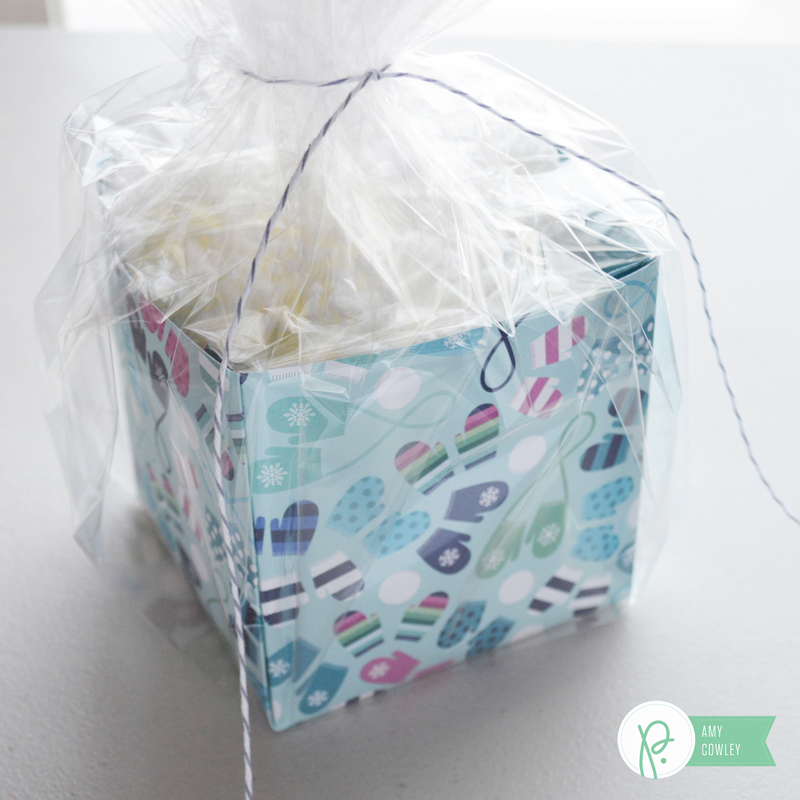 Wrap your box in cellophane wrap and tie it with some baker’s twine. 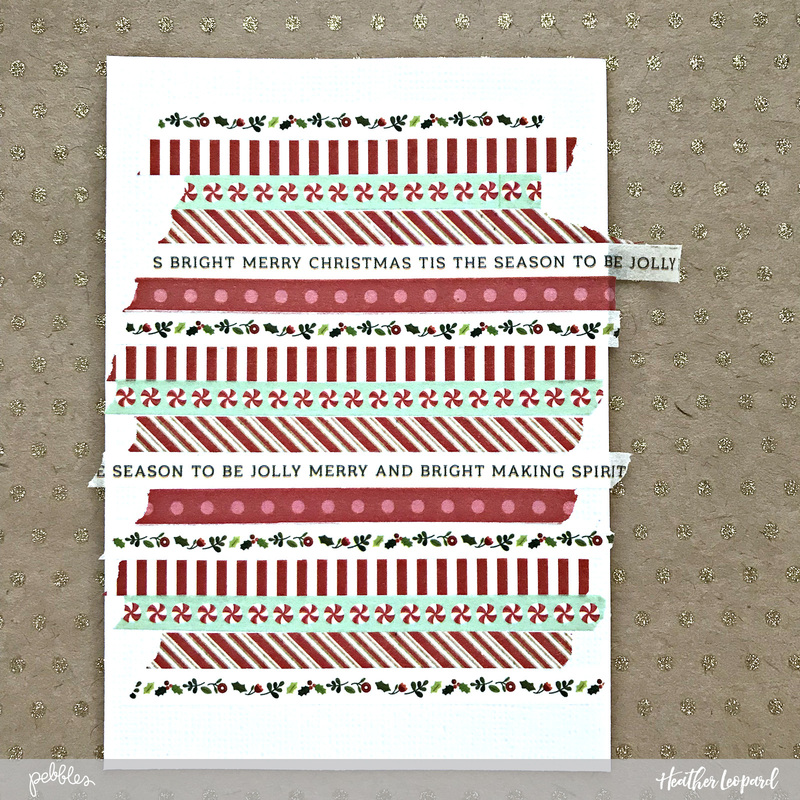 Use a mini clothes pin and place a Winter Wonderland Icons Glitter Sticker on it. Attach the clothes pin to the baker’s twine. 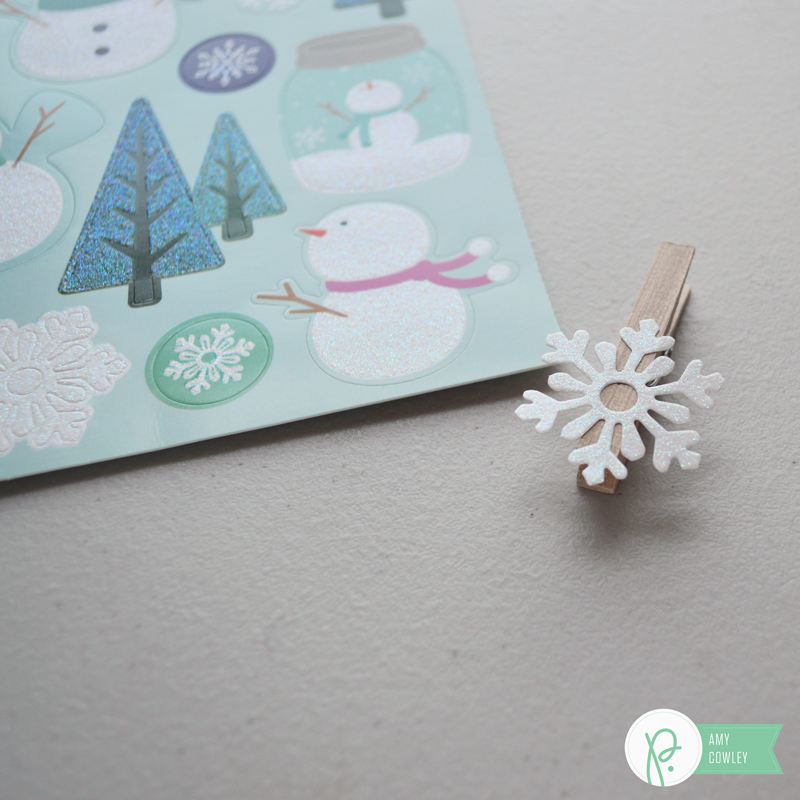 Clip a cute tag from the Winter Wonderland Snowfun onto the box with the clothes pin. 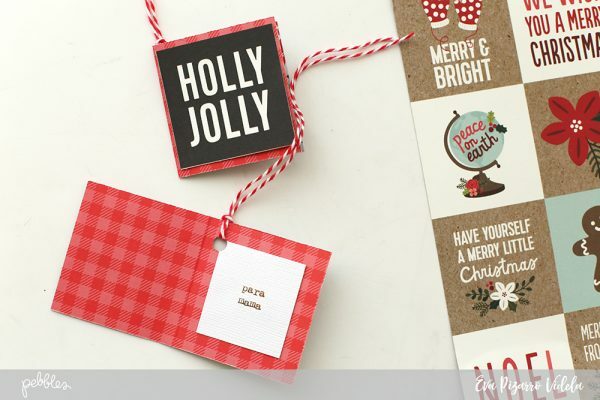 The Winter Wonderland Snowfun sheet of paper has so many fun saying on cards, there are several to choose from. 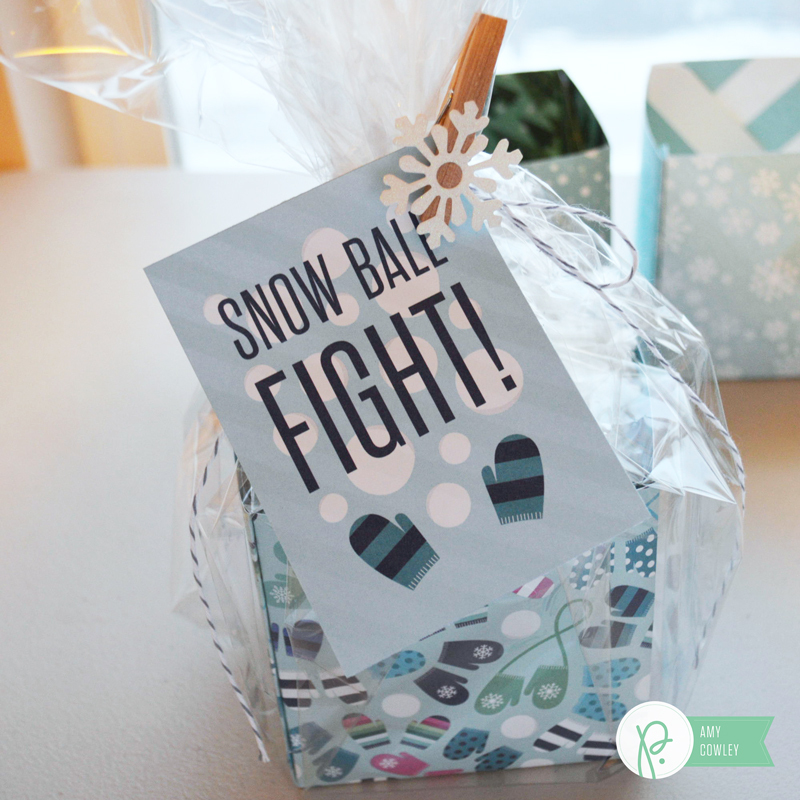 I thought the Snow Ball Fight card was fun for these little Snowball Neighbor Gifts. 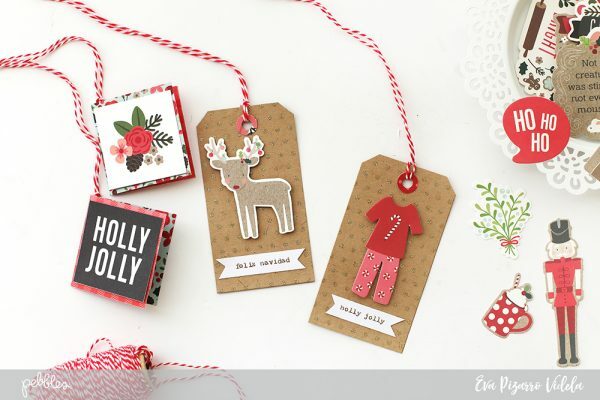 The stickers on the clothes pins add a fun touch to the gift. 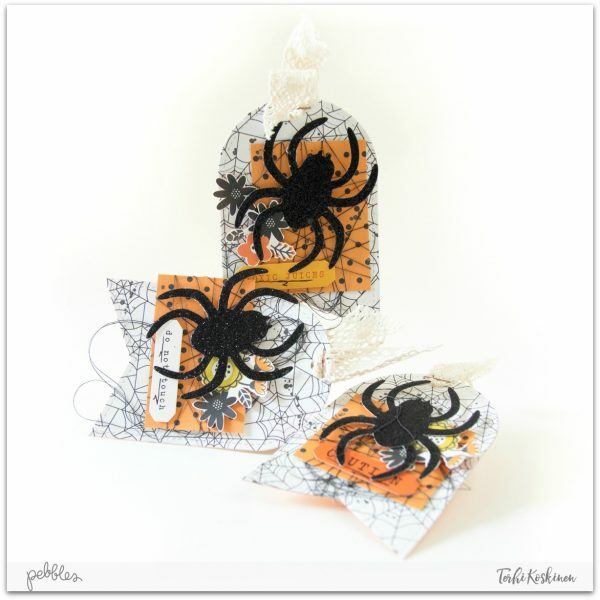 The best part about these is that they are so simple to put together and they can be used in any climate! 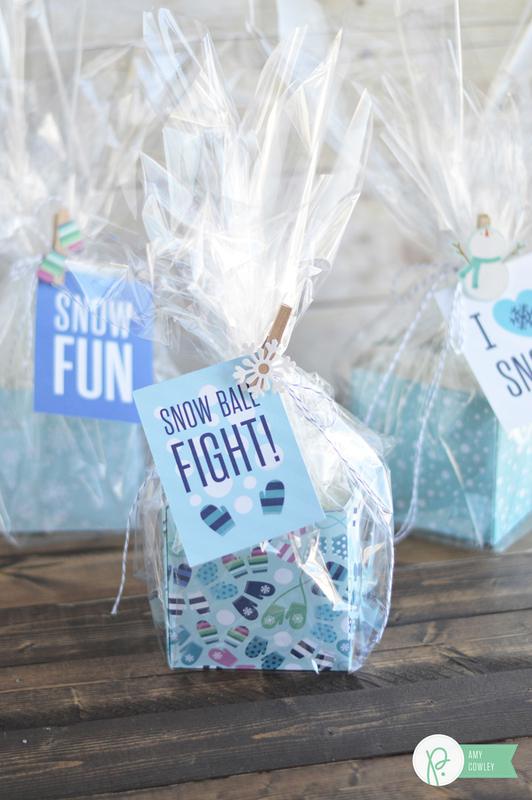 Who would you give these fun snowball gifts to? Hello there! 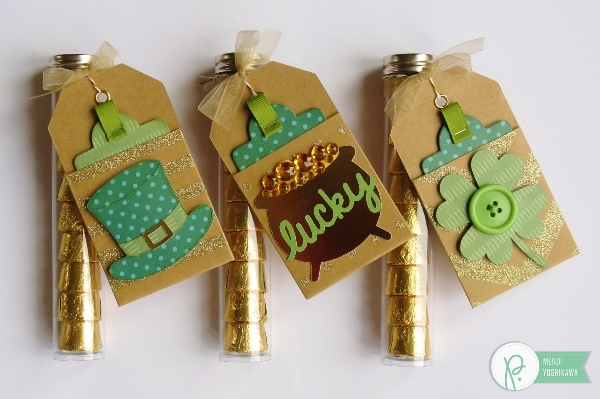 It’s Mendi here today with some super fun treat ideas to share with your favorite people this St. Patrick’s Day! 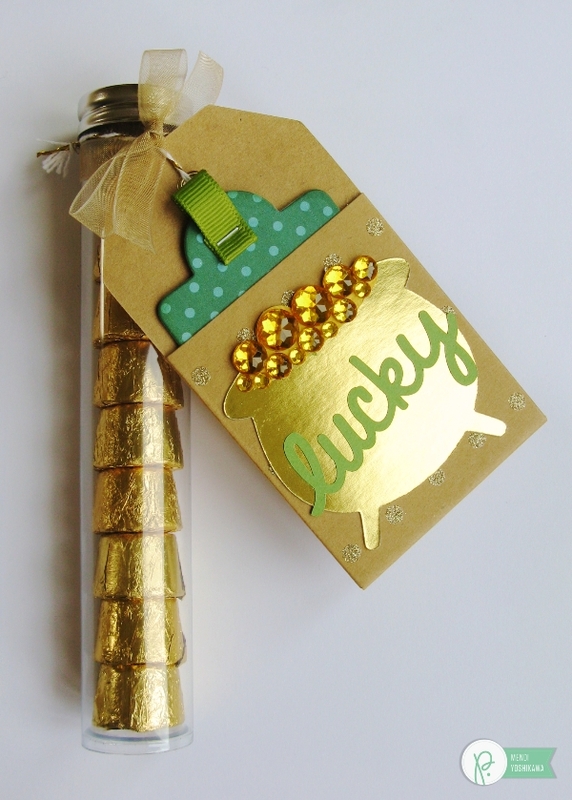 I have been holing onto these cute little clear tubes waiting for just the right project and was delighted to discover Rolos wrapped in gold foil are the perfect fit for them! 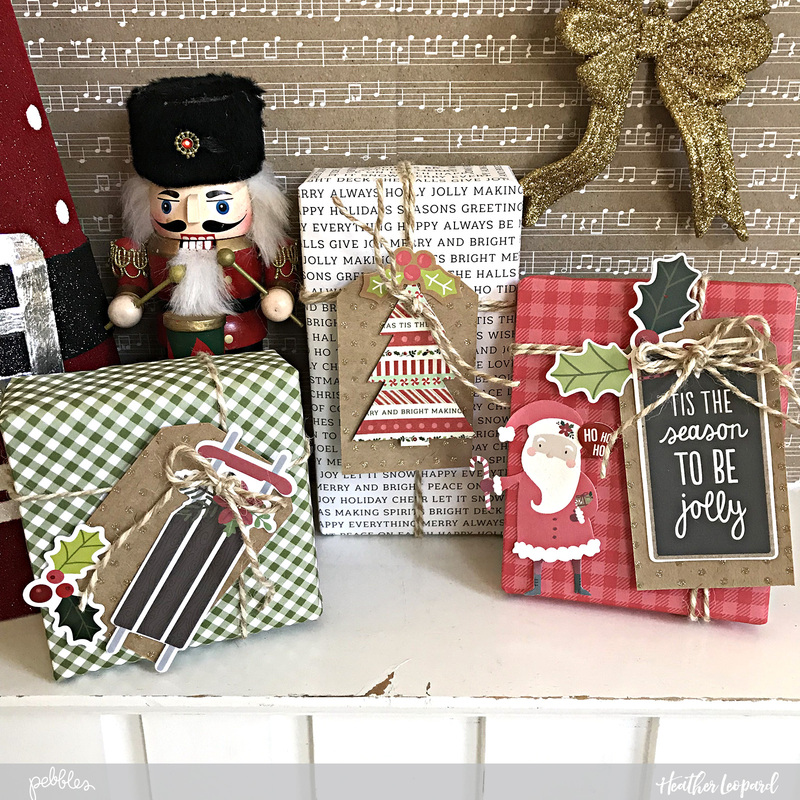 I wanted to dress them up with some tags and the Mini Kraft Pocket tags from the Home+Made collection were just what I needed! 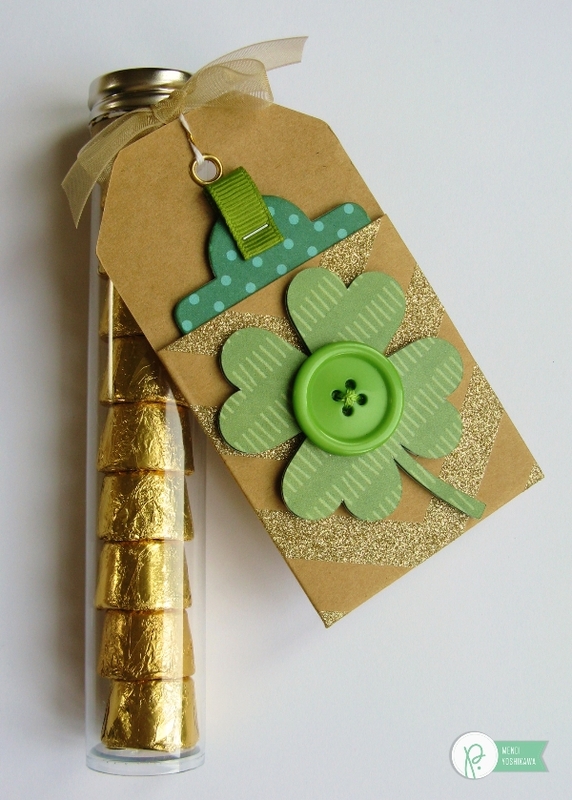 I love how they included the gold accents, gave me room to decorate the front and have the space inside to slip a tag telling my family how lucky I am to have them! 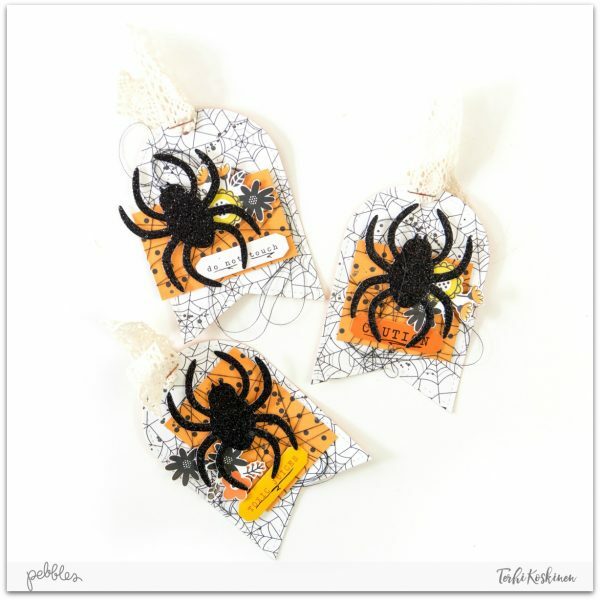 To embellish my tag I used a variety of cutting files purchased through the Silhouette store (linked below in my supply list). 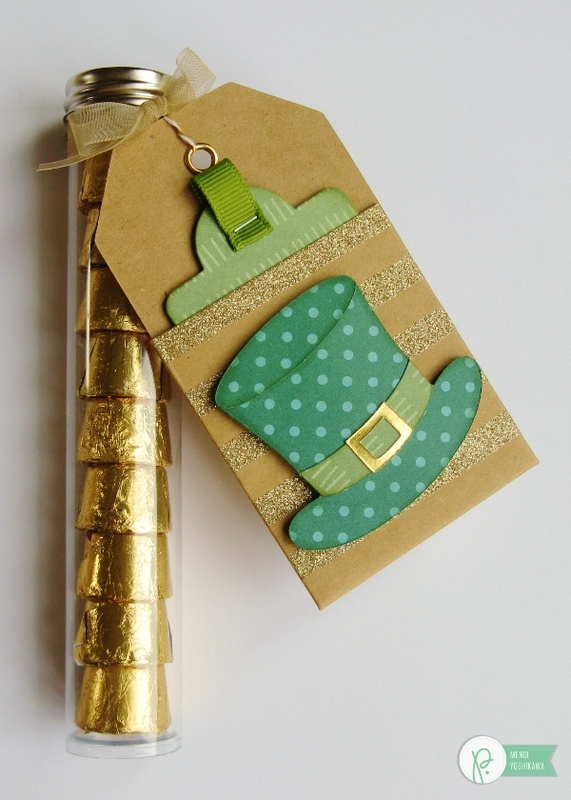 I love how this little pot of gold looks cut from the gold foil cardstock. Yellow jewels felt like the perfect finishing touch! What would St. Patrick’s day be without a four-leaf clover? For this embellishment I thought it would be fun to add some bounce and an element of surprise so I created a homemade “wobble spring” using just some simple supplies I had on hand. 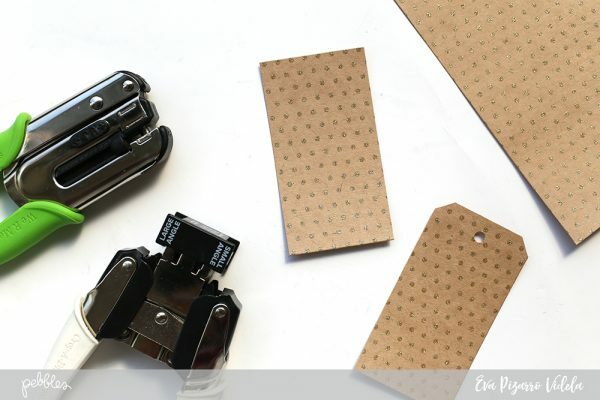 Step 1: Wind a fine gauge wire around a small straw or a pencil you have on hand. Step 2: If you have created enough for more than one wobbler element, clip them into smaller increments. 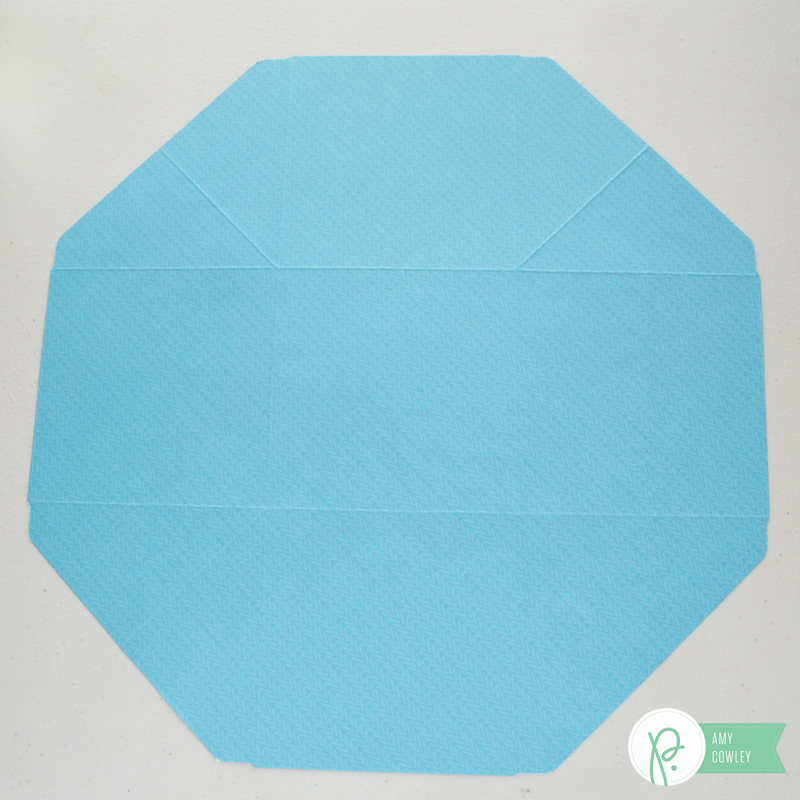 Step 3: Depending on the size of your embellishment that this needs to hide behind, punch (2) .75″ or 1″ circles. Layering the two circles together, poke a small hole in the center of the circles. Step 4: You should now have something that looks like this (for two wobblers). Step 5: Wind the spring around the hole in the center of one circle and tape in place. Repeat for both ends of the spring. Step 6: Your completed wobbler will look like this from the side view. 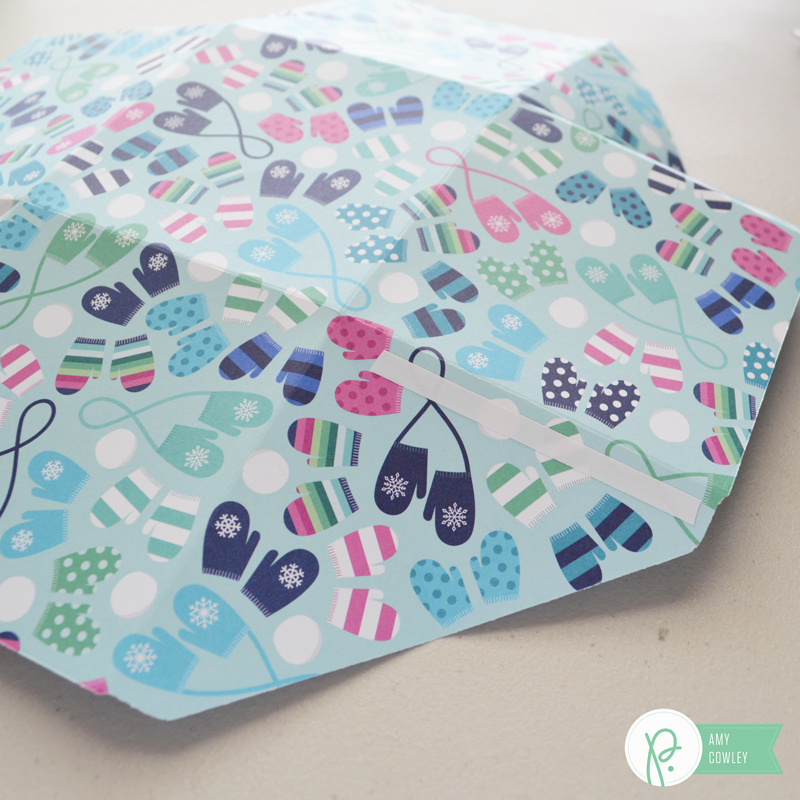 Step 7: I cut a second shamrock from contrasting patterned paper to lend a fun look when the top shamrock wobbles. 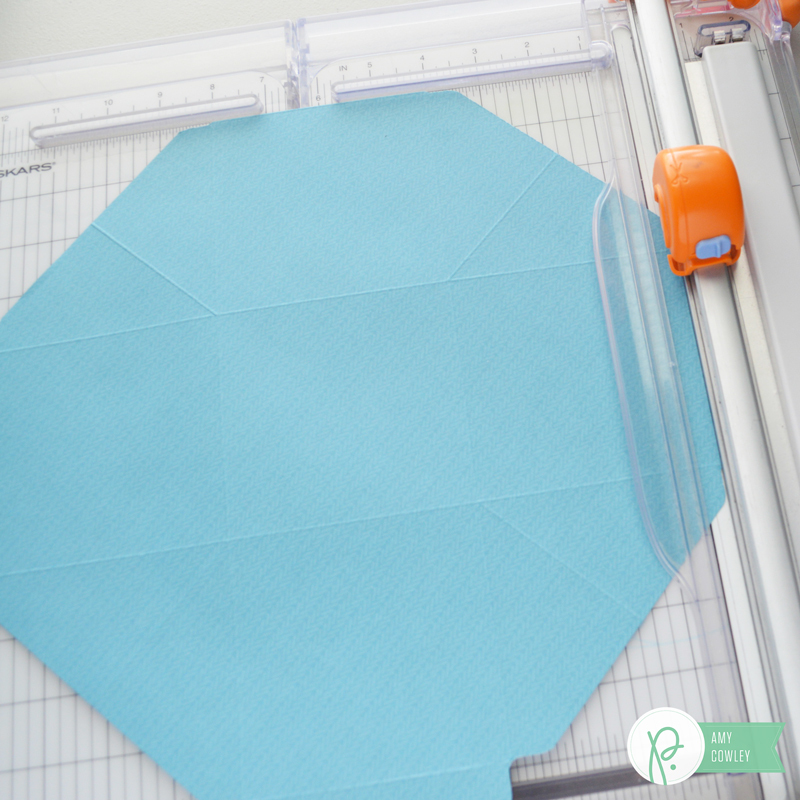 Adhere the bottom of the wobbler spring to the center of your embellishment or desired surface.